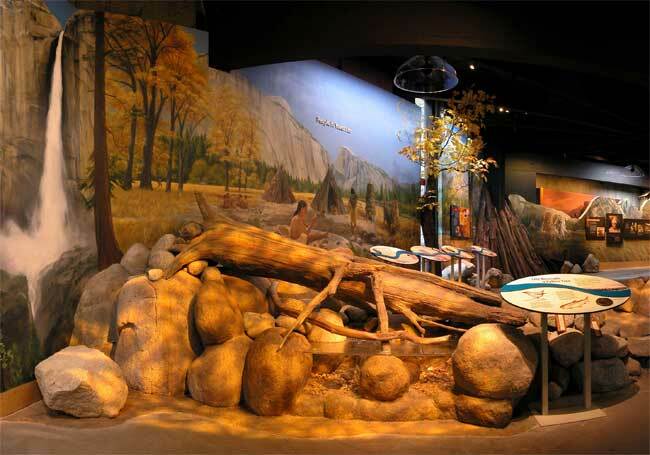 A major remodel in 2007 of this visitor’s center features 13 murals by Alumni Exhibits. 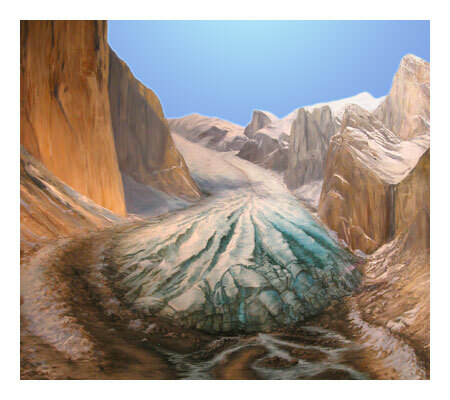 Ali Pearson was assisted in painting some of these murals by muralists Brooke Fancher, Ellen Litwiller, Ellen Valentine, and Marc Nicely. 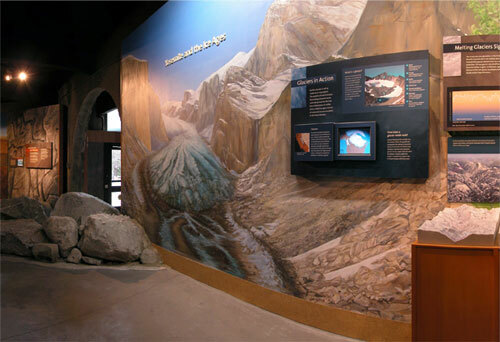 Half Dome painting as shown in the exhibit installation. 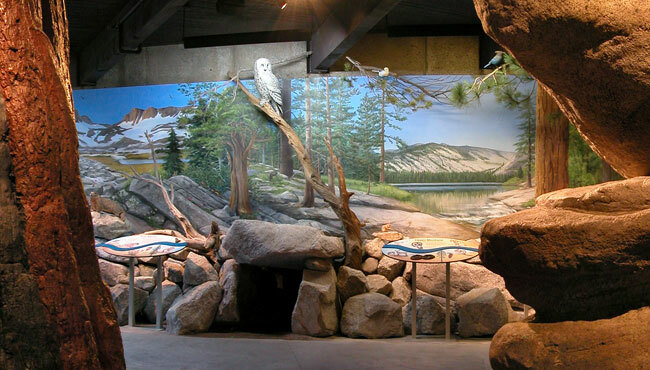 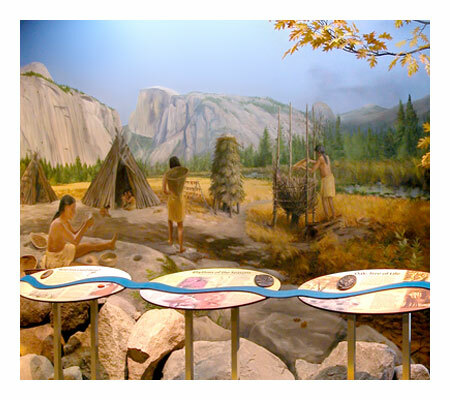 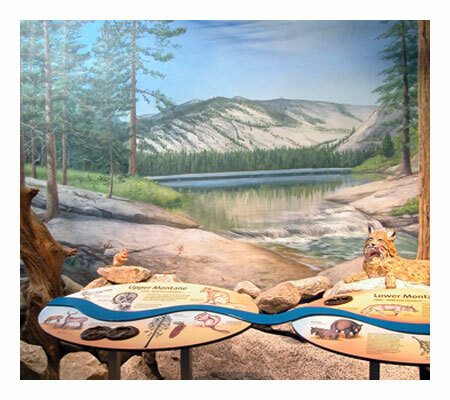 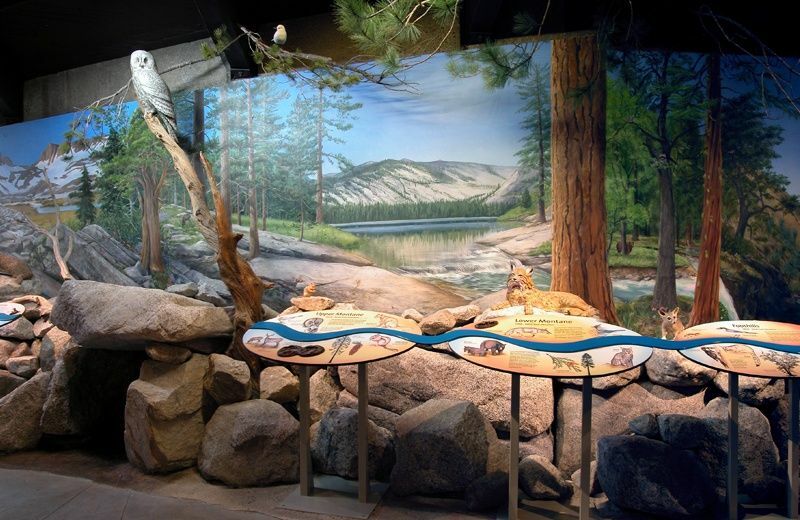 Alumni Exhibits created a mural background for the Life Zones exhibit at Yosemite National Park. 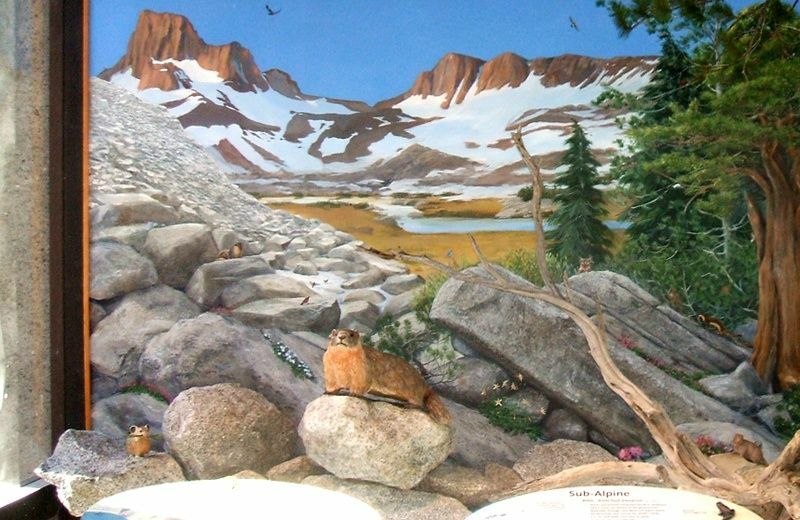 The mural depicts the diverse plants and animals living in the ecosystems ranging from the foothills to the higher altitudes. 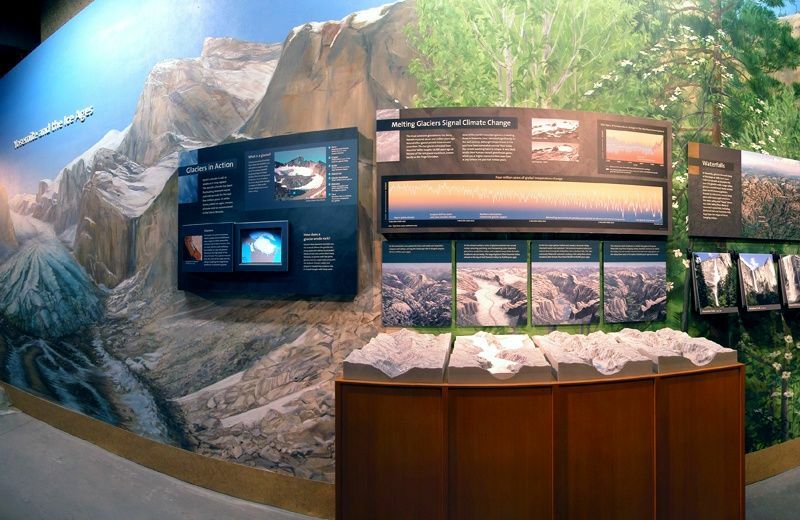 Alumni Exhibits created the mural to show the powerful forces of nature that shaped Yosemite. 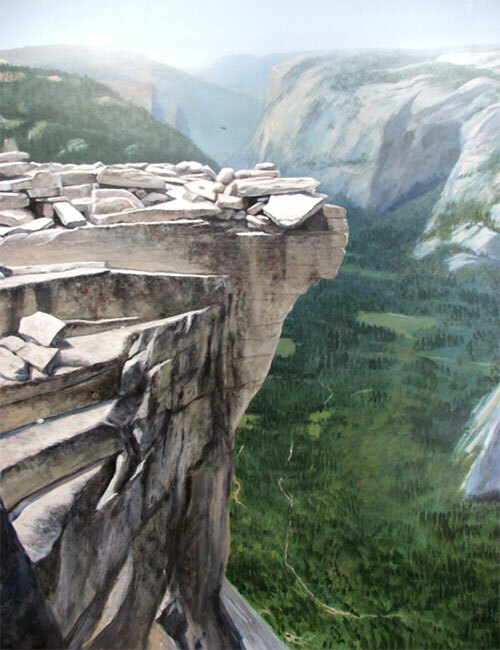 In addition to Ali Pearson, the murals and figures at Yosemite Valley Visitor Center were painted by Brooke Fancher, Ellen Litwiller, Marc Nicely, and Ellen Valentine. 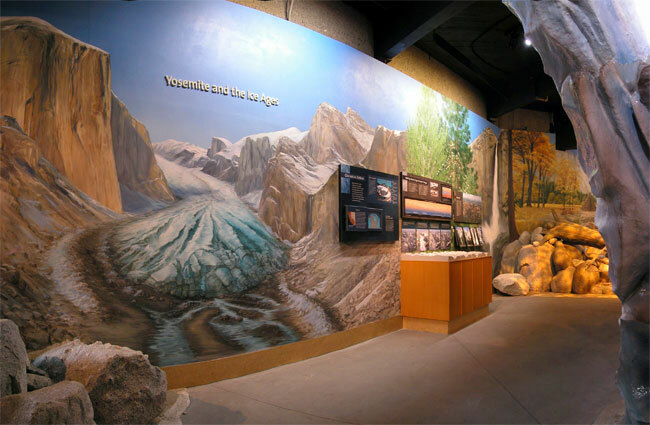 Full view of Ice Age mural within installation. 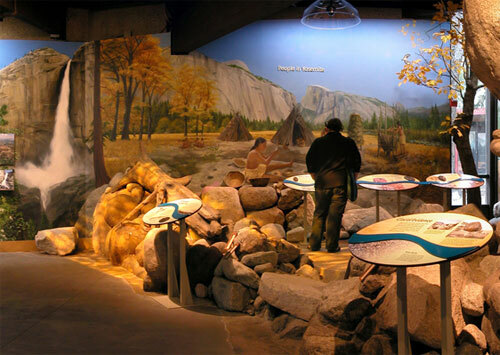 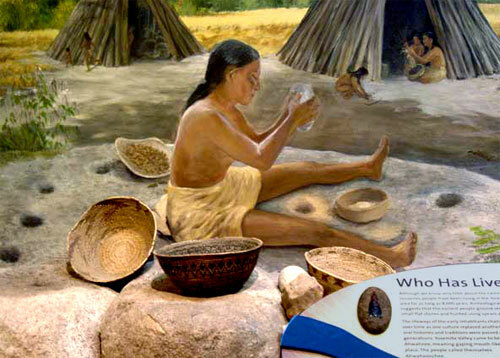 Full view of Native American murals installed in exhibit area. 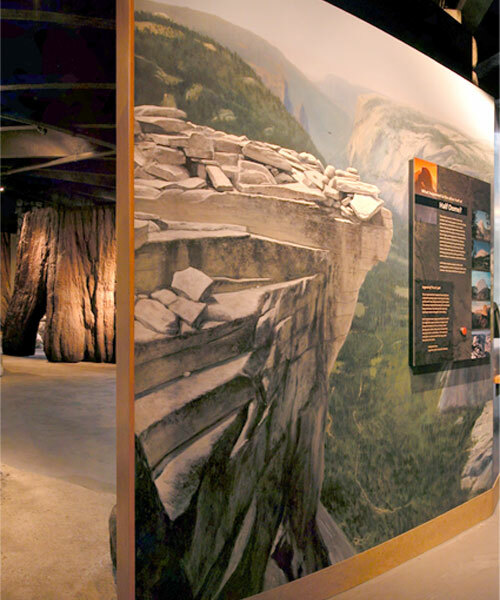 Location: Yosemite Valley Visitor Center, Yosemite National Park, California.